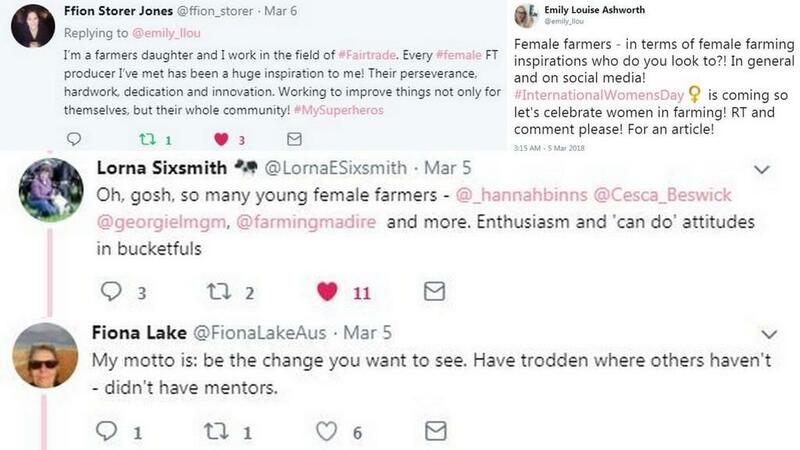 When Farmers Guardian asked the Twitter world who their farming heroines were, the ladies of agriculture responded passionately. International Women’s Day (March 8) truly gave the female population of the world a chance to unite and speak out. When it comes to supporting each other, nobody does that better than rural communities and and the female farmers out their really stood as one to tell us what being a woman in farming is all about. Praising their peers, bosses, friends and family, it was incredible to see such passion and positivity spoken about the female workforce that help to make the industry - here in the UK and globally - what it is. Female farmers - in terms of female farming inspirations who do you look to?! In general and on social media! #InternationalWomensDay is coming so let’s celebrate women in farming! RT and comment please! For an article! Female farmers - in terms of female farming inspirations who do you look to?! In general and on social media! #InternationalWomensDay is coming so let's celebrate women in farming! RT and comment please! For an article! "@IrishFarmerette is someone I look up to and who gives great advice. As a “townie” who married a farmer it’s sometimes hard to be taken seriously even after nearly 24 years! Lorna’s tweets and articles and messages give me confidence. #InternationalWomensDay"
"I’m a farmers daughter and I work in the field of #Fairtrade. Every #female FT producer I’ve met has been a huge inspiration to me! Their perseverance, hardwork, dedication and innovation. Working to improve things not only for themselves, but their whole community! #MySuperheros"
There are lots of female farmers around! Especially up my way on the shores of Lough Derg Co. Tipperary. Cheese & Veg and plenty more. Many don't have social media accounts though.... something to encourage? Have a look at t.co/wOu2Bh2pjd too! There are lots of female farmers around! Especially up my way on the shores of Lough Derg Co. Tipperary. Cheese & Veg and plenty more. Many don't have social media accounts though.... something to encourage? Have a look at https://t.co/wOu2Bh2pjd too! "My motto is: be the change you want to see. Have trodden where others haven't - didn't have mentors."